His power: No superpowers here: Stane built a larger, more heavyweight version of the Iron Man suit, reverse-engineered from the original Mark I armor he recovered from terrorist group Ten Rings. He didn’t, however, think to fix the icing problem at high altitudes. Stane also carries a sonic device that can paralyze anyone exposed to it. His story: Stane was Howard Stark’s early partner at Stark Industries, and became CEO when he left. However, he was forced to step down when Tony Stark took over, creating anger and jealousy toward the younger Stark, while he maintained a friendly veneer. In Iron Man, Stane manipulates Tony into letting the Stark Industries board of directors push him out of his own company, and Stane takes over as CEO. It’s also revealed Stane was behind the kidnapping and assassination attempt on Stark, at which point Stane recovers the original armor Tony used to escape his captors, and reverse-engineers a massive version of the Iron Man armor (informally known in the MCU as the Iron Monger suit). After a lengthy battle, Iron Man manages to kill Stane and destroy the Iron Monger suit by overloading the large arc reactor Stane had built. 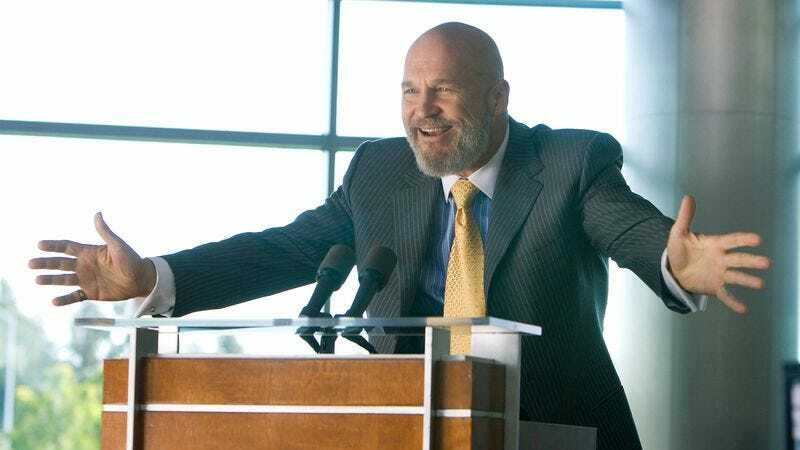 Currently, Obadiah Stane is: Very dead. Where will we see him next? Probably never.